Highlights from the Amex Stadium as Brighton take on Nottingham Forest in the Sky Bet Championship. 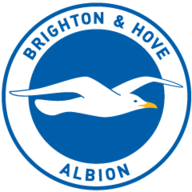 Glenn Murray scored twice as Brighton beat Nottingham Forest 3-0 to record their first win of the season in the Sky Bet Championship on Friday night. The Seagulls took the lead shortly after the half-hour mark when poor defending from Forest allowed Anthony Knockaert to get on the end of a Gaetan Bong cross before firing home from close range. Forest created a number of first-half chances but it was Brighton who ran away with the game after the break, when Jiri Skalak picked out Tomer Hemed who teed up Murray to stab the ball past Stephen Henderson in the 67th minute. And a third followed not long after when a devastating break from Brighton allowed Knockaert the opportunity to play the ball to Sam Baldock, who cut it back for Murray to finish with a neat 82nd-minute header. Next up for the two teams, Brighton play host to Rotherham and Forest travel to Brentford on Tuesday. Both sides started well to create chances in what was an end-to-end opening half-hour and it was Forest who could have opened the scoring after two minutes when Oliver Burke broke forward with a brilliant run into the box, but he found himself unaided as he looked to make the cross. Just moments later it was Brighton who almost took the lead, with Beram Kayal attempting to drill the ball into the top corner from 20 yards out before seeing his effort fly over the bar. Forest had another opportunity to put themselves ahead when Burke went on a rampaging run just after 20 minutes, but the hosts defended well to clear the danger. It took 36 minutes for Brighton to break the deadlock and it was a sloppy goal for the visitors to concede as Knockaert punished the defence for ball-watching when he got into the six-yard box unmarked, to net the opener from close range. A second followed after the break when Murray, back at the club where he is revered, slotted home in the 68th minute before adding a third for his side with a well-placed header ten minutes from time. David Stockdale limped off the pitch in injury time after receiving treatment following a clash with Bong inside the box, leaving Chris Hughton's men down to 10 as the match drew to a close. There were late goal-scoring opportunities and Murray had a golden chance to grab a hat-trick when he found himself through on goal in the 82nd minute, but Henderson was on hand to save the shot a tight angle. 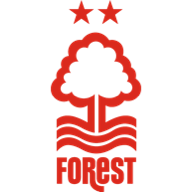 And the chances kept coming for the 32-year-old striker when he won a free-kick late in stoppage time just outside the Forest area but Murray saw his header go narrowly wide as he was judged to be in an offside position. The result takes Hughton's side to the top of the Sky Bet Championship table. Nottingham Forest boss Philippe Montanier says his side need to be more clinical in the earlier stages of their matches, after they lost 3-0 to Brighton.